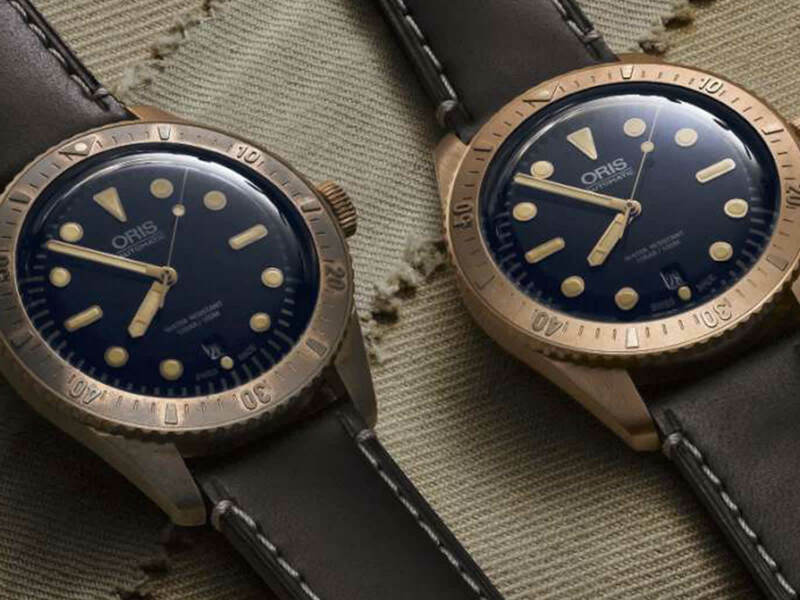 Oris recently added a new diver to it's current collection. 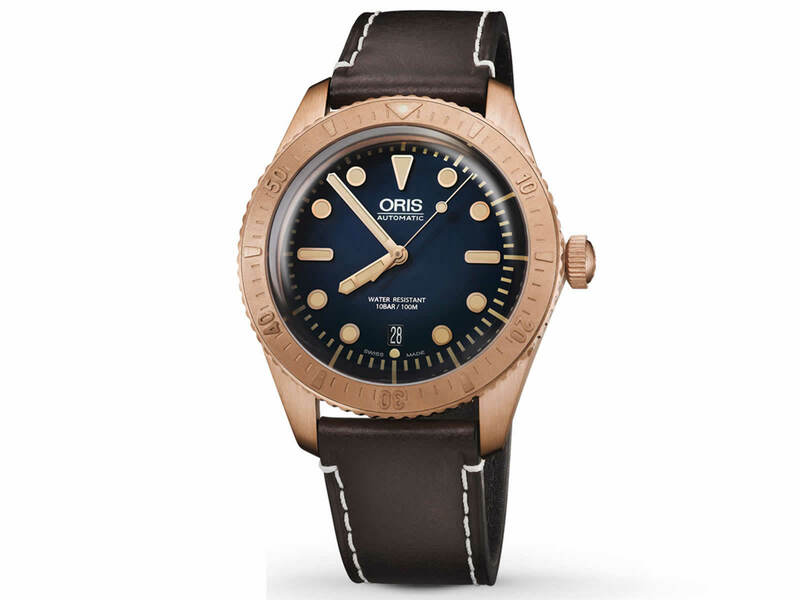 While the timepiece resembles with the Oris Diver Sixty Five model, it has several unique features. Undoubtedly, the most significant feature is the 42mm diameter case made of bronze. The crown and the uni-rotating bezel are also made of bronze as well. The dial sports a beautiful blue color with gold dot markers and a hand set matching the retro mood of the timepiece perfectly. 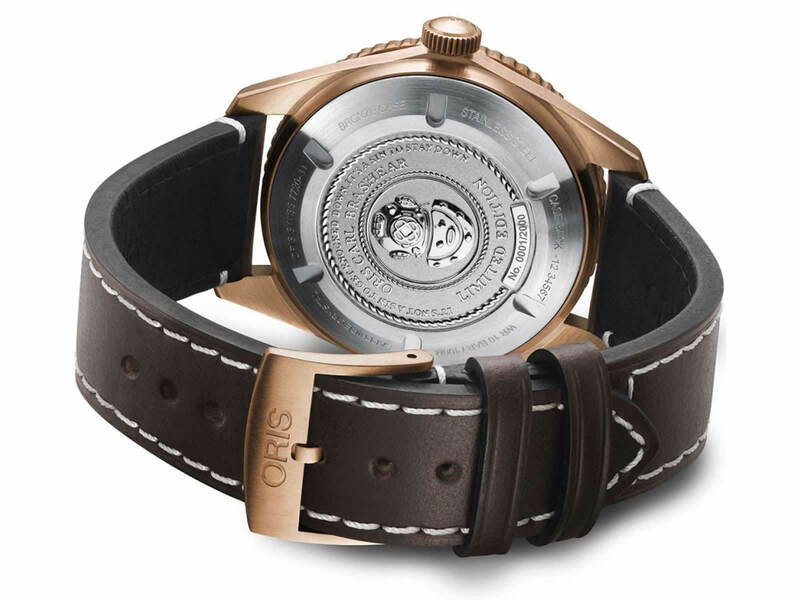 The watch is powered by the Oris Caliber Ref. 733 ( Sellita SW200 based ) found on many models of the brand. 26 jewelled movement beats at 28800vph and offers 38h power reserve. The solid case back features a very nice embossed vintage dive mask pattern. 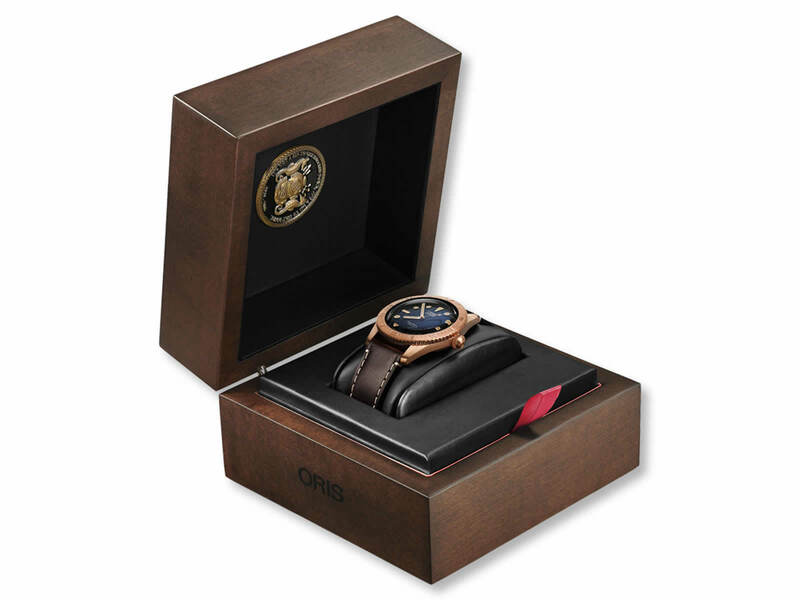 Oris Carl Brashear Limited Edition comes on a natural brown leather strap. 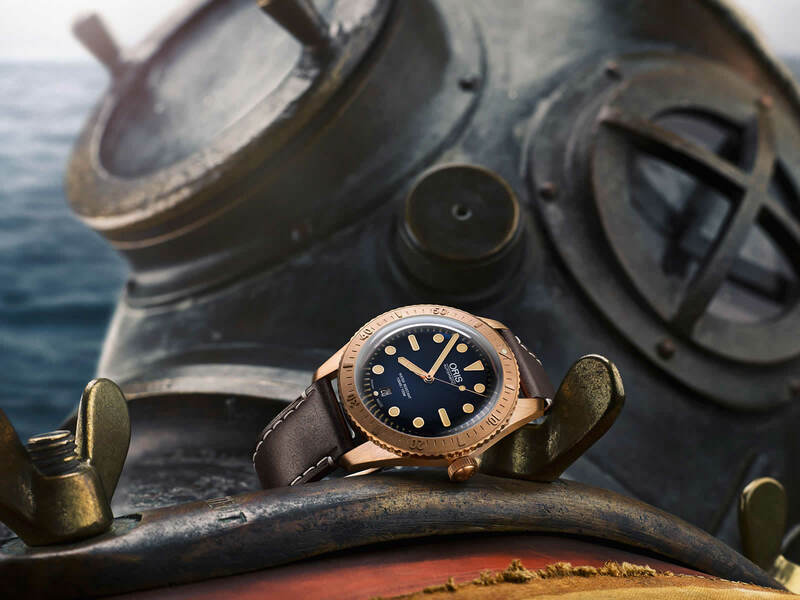 The watch is dedicated to the first African American diver of US Navy - Carl Brashear. If you are not familiar with the name be sure to watch the silver screen adaptation of Brashear's amazing life " Men of Honor " starring Robert DeNiro and Cuba Gooding Jr. The watch is limited to 2000pcs only.